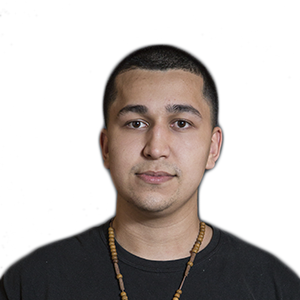 With a history working alongside teams such as eXcellence Gaming, Rise Nation, and Dream Team, Steven "DIabolic" Rivero's achievements include a 3rd place finish at UGC Niagara, and 5-8th place finishes at UMG South Carolina 2016 Champion Tournament, UMG CWL $25K Challenge Variant 2, and ESL CWL Challenge Division Tier 2 Event 1 North America. Steven "DIabolic" Rivero a joué dans les équipes eXcellence Gaming, Rise Nation et Dream Team et à fini 3ème lors de l'UGC Niagara, et dans le top 5/8 à l'UMG South Carolina 2016 Champion Tournament, lors de l'UMG CWL $25K Challenge Variant 2 et dans l'ESL CWL Challenge Division Tier 2 Event 1 NA. 3ème place: UGC Niagara 2015. 5/8ème place: UMG South Carolina 2016 Champion Tournament, UMG CWL $25K Challenge Variant 2, et ESL CWL Challenge Division Tier 2 Event 1 North America.